Did you miss the sentence quoted above Quicksilver ? it can hardly be seen as a moan, and bear in mind the weather pattern experienced last season is not necessarily replicated the following season as this season has proved. 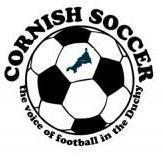 If you were referring to Mousehole, they wouldn't play Helston on Boxing Day and Good Friday. Unless it was in the Combo with their 'different' holiday games. Only what I heard from people involved with the club. But there may be others who do want to move. If there's any money left for food! Losty 2 Foxhole 5 We knew what we were up against and how Foxes would play but could not stop them. Big, physical and organised with a direct approach but we couldn't cope. We fel behind inside a minute to Boulds great strike from Young Paps superb ball and and seemed powerless to stop the relentless Champions elect with Bould 3 and Griff 2 the scorers. We showed some bottle to pull 2 back and can hopefully show the same spirit against Veryan twice this week. Apart from their well known experienced players i was impressed with young Bradley Allen in midfield and Nathan Papaioanniou at left back who were faultless. The game was welled reffed and it was good to see some old friends from Foxhole. Well will be less travelling to away games next season as clubs will be separated into the SWPL east and west village pub leagues. Can’t please everyone, previous season people were complaining there were to many games at the end of the season and it should be extended due to the weather. This season fixtures secretary crammed in early fixtures to plan for inclement winter weather and he is moaned at again! A battle of ego's and wallets....could be fun. The weather will dictate whether games are played, always has and always will. The weather patterns are massively changing due to global warming (?) Tha way it's going football will have to be a summer sport, winters will become wash outs. How have Leeds United got on in the last 15 years? I suppose it's been success after success!! Unfortunately we can't find another website that catalogues its seasons fixtures in the same fashion as Sticker do, and therefore comparisons are difficult. The point being made is that 4 x home games in 17 x weeks could be adjusted earlier in the season for the sake of the home supporters who find it impossible to travel on occasions due to work and other commitments. As stated we can't find another website that catalogues the seasons past fixtures, and wondered if fixtures had been rather sparse in the latter part of the season for other clubs. It would be unfortunate if the early season pile up of fixtures was to happen every year, leaving clubs who have exited cup competitions at an early stage with very few games from mid to end of season. Weren't St Just known for bringing in ringers? I'm sure Andy Bowker and possibly Marcus Crocker featured in the past but could be wrong. Is it just me or is Dave D's post not showing fully? A lot of teams play many midweek games early season. The weather last season caused a major pile up with some clubs. Bodmin for example had their situation exacerbated by the roadworks causing the pitch to become waterlogged. Not ideal but this season it seems to have worked although you can't please everyone. I'm sure Mr Hiscox would love to hear of a better way to do things. Illogan never change, always bring ringers in, not loyal to anyone and have players running around stamping on opponents and trying to injure them. Ref could be busy tomorrow. Definately taking a trip to Porthleven tomorrow.